Math focus remains addition and subtraction with and without regrouping . Along with one and 2 step word problems. Fairy Tales, Fables, and Tall Tales. Please keep practicing math facts at home and reading nightly. Category: Uncategorised | Comments Off on HAPPY 2019!!!! Second Grade will be celebrating the 102nd day in second grade on Tuesday, February 22nd. Our day will include fun activities , dressing in black and white clothing all wrapping up with 102 Dalmatians movie. Please contact your child’s teach if you wish to send in something special. There are NO at home projects to be completed for this day. 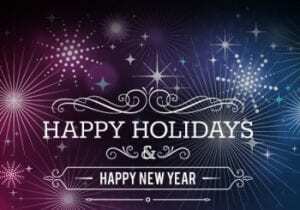 We would like to wish all of our Blackwell Families a very happy and safe holiday break!!! We hope you all enjoy spending time with your families and making wonderful memories! It is really hard to believe that we are half way through the 2018-2019 school year. See you all in 2019!! Students do not return to Blackwell Elementary until Monday, January 7,2019. Category: Uncategorised | Comments Off on HAPPY HOLIDAYS!! EARLY RELEASE DECEMBER 20TH AND 21ST. Just a quick reminder that all Cobb County Schools will be following early release protocol on Thursday,December 20th and Friday, December 21st. Please be sure to let your child’s classroom teacher know if there are any dismissal changes. We will begin releasing students starting at 12:20. Category: Uncategorised | Comments Off on EARLY RELEASE DECEMBER 20TH AND 21ST. Our second graders have been asking lots of questions about the wonderful robots they have used in STEM class this 9 weeks. So we decided to share the names of the bots and the prices. One of the bots is called Coji and retails for $30.00. The students have also used Cozmo which retails for $170.00 and R2D2 that retails for $80.00. Hope this helps. Thanksgiving Feast in the Café! lunchroom from restaurants such as McDonald’s, Subway, etc. 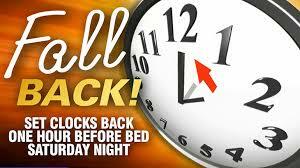 Don’t forget to set your clocks back. Enjoy that extra hour of sleep on Sunday! Blackwell second grade will be visiting the Cobb Safety Village on Tuesday, November 13th. The school buses will leave Blackwell at approximately 9:15 and return before 2:00pm. We will be participating in some outdoor activities if weather permits.Please watch the weather and dress your child accordingly. We have our new class t’s to wear so that we are able to easily keep track of our students. Please pack a sack lunch from home or have your child purchase one from the Blackwell Cafe’.